The biggest risk for coeliacs is cross-contamination, as even cooking things in the same pan can be problematic and make someone with an extreme intolerance very ill. Currently, there are no strict regulations that outline what is classed as gluten-free, but even food prepared in the same area can cause an adverse reaction, so segregate carefully within the kitchen. 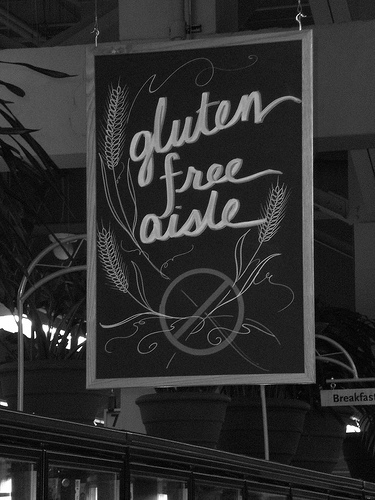 The gluten-free trend has sparked a bigger demand for restaurant insurance which covers against reactions due to specific allergies, and restaurateurs should be careful that they know the full picture before claiming they can provide such a food service. The biggest thing with any food allergies or preferences is that you need to know! Put a small note on your menu asking your customers to inform you of any intolerance they may have so that chefs will know it is of the utmost importance that food is prepared separately. Getting customers to talk about gluten-free options will also encourage them to pass on the word: coeliacs often find it difficult to find tasty gluten-free dishes in restaurants, so gaining a good reputation for doing so will mean word will spread quickly! Moreover, ask for their opinions on the dishes. You might like to ask customers who have the gluten-free options to fill in a feedback form as well so you can gauge how the dishes can be improved. While recommendation is probably the best way to spread the word, you can also help yourself by adding yourself to online databases of gluten-free websites. There are a number of websites which aim to categorise gluten-free restaurants and you can often submit your restaurant to be listed. Moreover, on your restaurant’s website, it is a good idea to have a separate heading called ‘gluten-free’ so prospective diners will immediately see that you are conscientious and willing to go the extra mile for your diners. Lastly, make sure you provide a dish for every course and not just main meals so your diners can have the full experience if they wish!